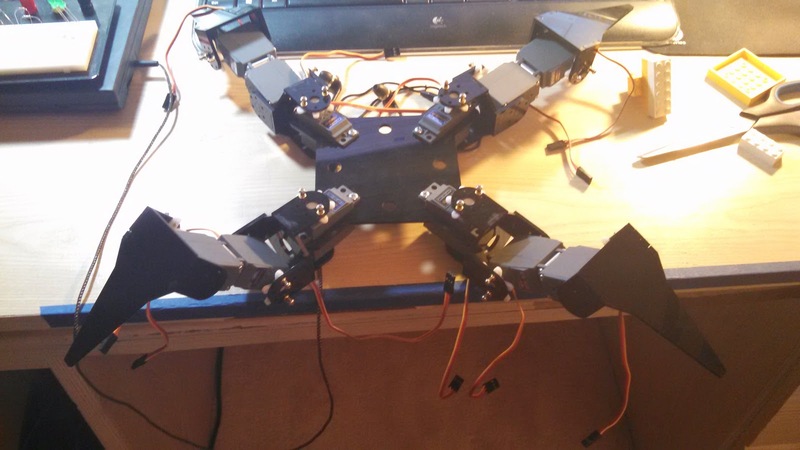 The first step was to get servos. 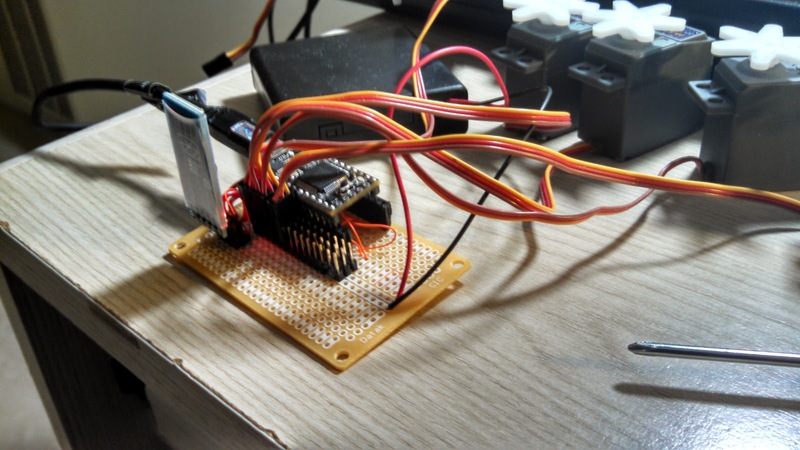 Turns out, servos can be pretty expensive, especially when you need 12 of them! 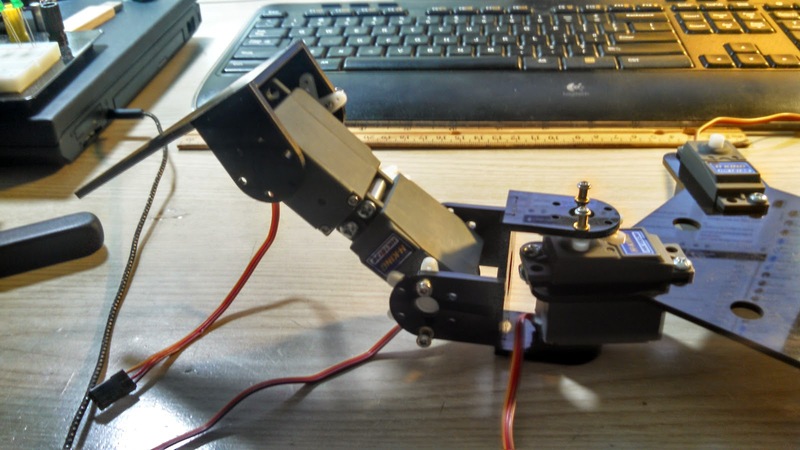 I was initially going to use those small 9g servos (cheap at ~$3 each from ebay); however a lot of the projects that used those servos seemed to have issues with jittering and seemed a bit too toy-like. I ended up getting the standard sized HK15138s from HobbyKing ($3.50 each). While their torque isn't great, I'm hoping that they should be good enough for my needs. For the frame, I decided to go with laser-cut acrylic parts. 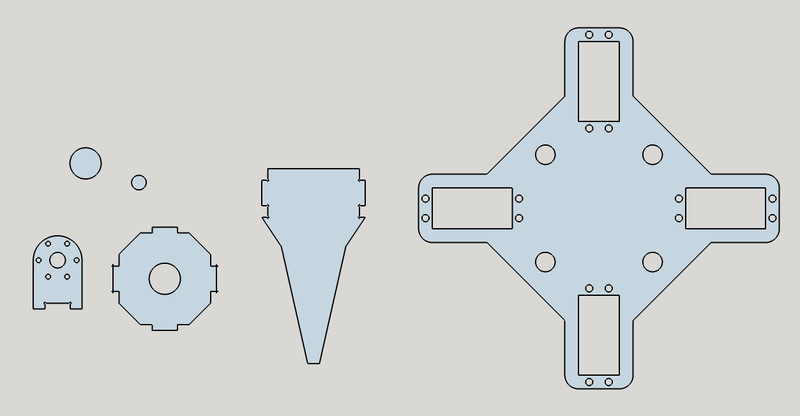 Since I wanted everything to be relatively solid, I chose a simple design where each joint is supported at two points, not just the servo horn. 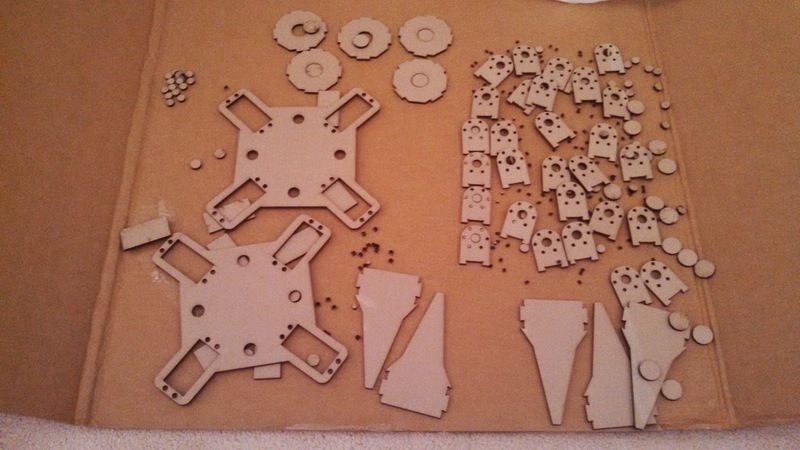 Essentially, the frame consists of a main body part, a bunch of servo brackets, and leg pieces. I created the parts in SketchUp, which turned out to be pretty intuitive (I no longer have access to Caltech's SolidWorks license). 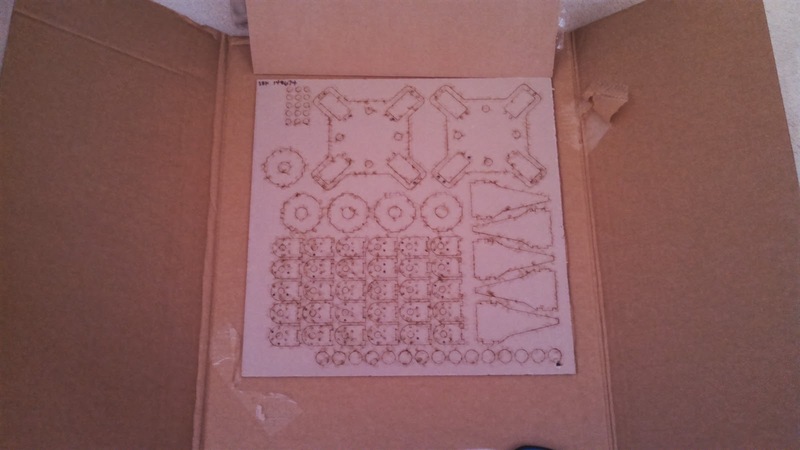 Since I don't have access to a laser-cutter, I ordered the parts from Ponoko on a 384mm x 384.0mm sheet. The order was $55 for 3-day making (up to 8 days otherwise) and 2-day priority mail; a little pricey, but not completely unreasonable. I received the parts exactly 1 week later. Assembling everything was straightforward, although pretty time-consuming (took me 4-5 hours total). I used super glue for bonding everything. I wasn't super careful, so there are a lot of places where I discolored the acrylic from smearing the glue, but I'm okay with the overall result. I still have to route the wiring more neatly and mount the electronics / battery pack (probably should have put more mounting holes on the frame), but the hardware is otherwise mostly done! 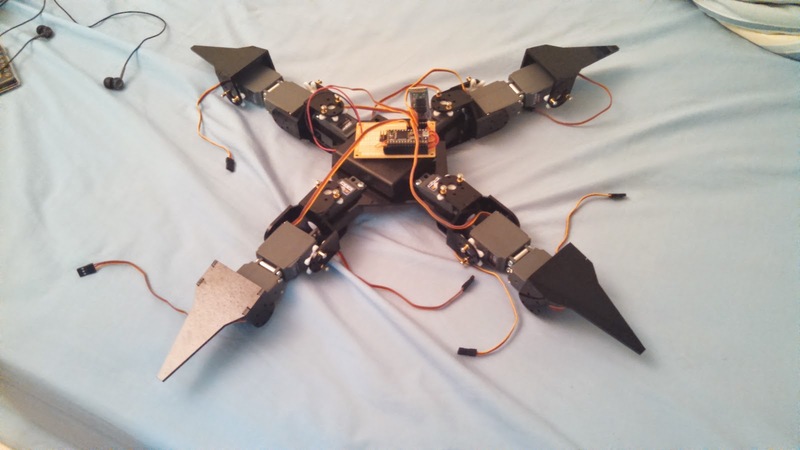 I will start working on the software soon; I plan to start with implementing IK and getting the robot to stand and shift in place. 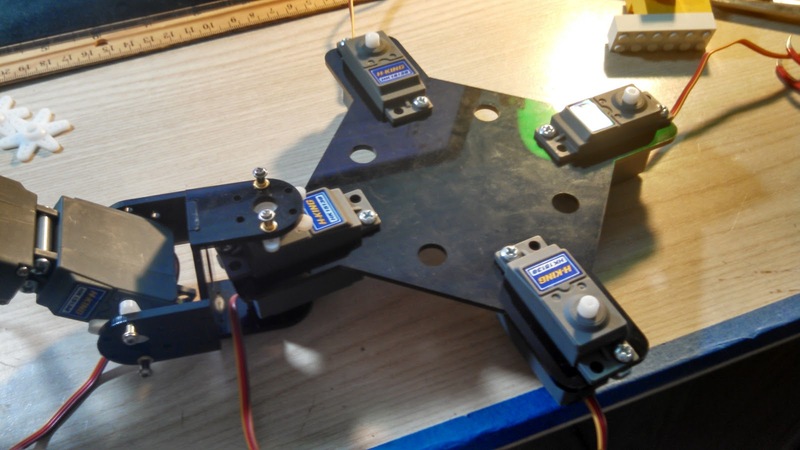 Really hoping the torque of the servos is enough! Great article. Glad to find your blog. Thanks for sharing such a useful post.